US employers added 201,000 new jobs in August. The prior two months of additions were revised down 50,000, bringing the three-month average to 185,000. Gains in August were broad based, with most industries adding jobs over the month, notably the transportation and warehousing & construction sectors. Manufacturing jobs fell slightly during the month. The unemployment rate was unchanged at 3.9%. However, the labor force participation rate dropped to 62.7%. Meanwhile, wage growth continues to trend higher. Average hourly earnings increased 0.4% for the month and 2.9% on a year-on-year basis, a new cycle high. The ISM manufacturing index hit 61.3, the highest reading in 14 years. Both the current production and new orders indices posted large increases during the month. The prices paid component eased somewhat, but remained elevated at a still-high 72.1. Tariffs were mentioned by several respondents who noted suppliers were able to pass on tariff-related price increases. The ISM non-manufacturing index topped expectations and jumped 2.8 points to a 58.5 reading in August. The current activity, new orders and backlog sub-indices each edged higher during the month, indicating that the pick-up in activity was broad-based. The prices paid index eased, but remained high at 62.8.The surge in US exports in the second quarter (as some businesses rushed to get merchandise out the door ahead of retaliatory tariffs) will likely be reversed in the third quarter. Total exports fell 1.0% in July, bringing the trade deficit to $50.1 billion. The dip in exports follows a 0.7% drop in June. The consumer goods, capital goods and food & beverage categories also saw significant gains in May only to be followed by back-to-back declines in June and July. Meanwhile, strong consumer spending and business investment continued to support demand for imports, which increased 0.9% in July. The US economy is barreling full steam ahead, and the estimated impact of tariffs has so far been quite small. The $50 billion in import tariﬀs on China and the steel and aluminium tariﬀs may shave roughly 0.2 percentage points oﬀ US real GDP growth in about years’ time, and add two tenths of a point to inﬂation. However, the tariﬀs in place are only the tip of the iceberg relative to those under review or threatened. So far the US has levied tariﬀs on $107 billion of imports into the US, but the total tariﬀ action under consideration amounts to $715 billion. If implemented, they could place about 1.2 percentage points of US and 0.4 percentage points of global growth at risk. US stocks recorded declines over the holiday-shortened week. In a reversal of recent trends, value stocks outperformed growth shares, and the technology-focused Nasdaq Composite Index lagged. Nevertheless, the value-oriented energy sector performed worst within the S&P 500 Index as oil prices fell sharply in response to rising US inventories and concerns about demand from emerging markets. Technology stocks were also weak, while industrials shares outperformed. Trading volumes picked up as the summer vacation season came to an end and much of the increased buying and selling early in the week took place in individual stocks rather than exchange-traded funds (ETFs) and futures (suggesting fewer investors were making wholesale moves in and out of stocks based on macroeconomic events and other thematic factors). The positive jobs data contributed to a jump in longer-term interest rates, with the yield on the benchmark 10-year Treasury note briefly touching 2.95%, its highest level in nearly a month. Primary issuance picked up again in the investment-grade corporate bond sector, with the level of new supply eclipsing early estimates. Despite robust issuance, the deals were easily absorbed amid strong demand and the return to normal trading volumes. CPI data for August are due for release this week and the core index is expected to rise around 0.2% month-on-month (unchanged at 2.4 % year-on-year). Even if inflation surprises on the upside, Fed has said it will tolerate inflation moving above the 2.0% target as inflation has been too low for a long time. Retail sales data for August are due out on Thursday. A high level of consumer confidence points to strong growth in private consumption, however, these numbers are usually quite volatile on a monthly basis. The Monetary Policy Committee (MPC) of the Bank of England (BoE) will meet Thursday and release its decisions at 13:00 CET. Minutes from the monetary policy meeting will also be released. At its meeting in August, the MPC decided to increase the bank rate by 25 basis points to 0.75% and the decision was unanimous. In August, the BoE said it believed that the dip in UK output in the first quarter had been temporary, and that momentum would recover. The MPC’s assessment was that the labour market had continued to tighten and unit labour cost growth had firmed. The MPC saw the global outlook as a little softer. 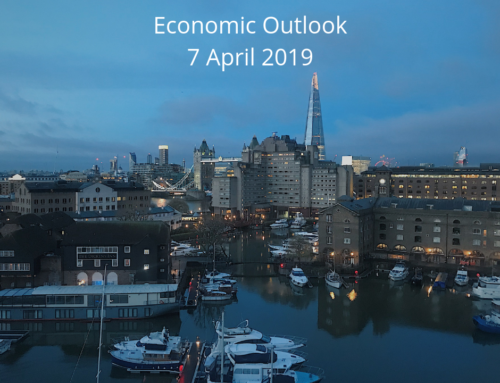 The BoE still expected annual GDP growth of around 1.75% ahead, and inflation was expected to stay a little above 2.0% before returning to target in 2021. The MPC said that, should the economy continue to develop broadly in line with the August projections, an ongoing tightening of monetary policy would be warranted over the forecast period to return inflation sustainably to the 2.0% target. The proportion of British people expecting interest rates to rise over the next 12 months increased in August, following the Bank of England’s decision to raise rates at the start of the month. Some 58.0% of people expect a rate rise over the next 12 months, up from 51.0% in May when the central bank shied away from a rate increase which had been widely expected in financial markets. British house prices rose in the three months to August at their fastest annual rate since November last year, figures from major mortgage lender Halifax showed on Friday, bolstered by a gradual pick-up in wages and limited supply. Halifax said house prices in the period were 3.7% higher than a year earlier, up from a 3.3% growth rate in the three months to July but a slightly smaller increase than the average forecast in a Reuters poll. While there are no clear signs of progress toward a divorce agreement between the United Kingdom and European Union, the rhetoric has become less contentious in recent weeks and there has been some encouraging news. It was reported this week that both Germany and the UK are prepared to drop some key Brexit demands in order to speed the conclusion of a deal. Additionally, the UK is said to be willing to accept a vaguer statement of intent on the future relationship, which would postpone some decisions until after Brexit takes effect on 29 March 2019. The key release in the UK this week is the monthly GDP indicator for July, which will give us more insight into how the economy started Q3. GDP is growing on average between 0.1% to 0.2% (implying a quarterly GDP growth rate around 0.3% to 0.4%) with consensus estimate being 0.1% month-on-month. China Manufacturing PMI from Markit fell slightly from 50.8 in July to 50.6 in August, which was marginally weaker than expected. Meanwhile, official manufacturing PMI increased marginally from 51.2 to 51.3. Seen together, we interpret these as stable PMI figures with high uncertainty. They do not alter consensus view that PMIs and overall economic growth are on a falling trend as the past deleveraging efforts and trade tensions are impacting negatively. Key Chinese economic data such as retail sales, industrial production and fixed assets investments will be released this week. The declining economic growth this year was anticipated, but the trade war has most likely contributed to a greater decline than the Chinese government had expected, forcing it to ease both fiscal and monetary policy. Should Trump impose the tariffs during next week, an immediate response is to be expected from the Chinese government in line with previously announcements. Germany’s trade surplus narrowed in July to its lowest level in more than four years as exports fell and imports rose. Other data also showed weakness in Europe’s largest economy. In July, industrial output dropped by 1.1%, and factory orders fell 0.9%. Jitters over the potential for Italy to blow past European Union budget limits were calmed this week as several highly placed Italian officials vowed that the government’s 2019 budget will raise deficits by less than feared. Earlier this year, leaders were dismissive of the caps, but as the process has worn on they have become less bombastic. A deficit of between 1.5% and 2% of GDP is now expected, higher than agreed to with the EU by the previous government but well below levels that would have been required if the 5 Star-League coalition had lived up to all its campaign promises. The pan-European Stoxx Europe 600 Index and Germany’s DAX 30 Index fell to their lowest levels in five months, as trade tensions and uncertainty about tariffs clouded the outlook for global trade. The unpredictability of the US government in relation to trade is driving stocks lower, as it leaves companies uncertain about where to invest, while the overall global slowdown and high valuations of many European stocks have added to the impulse to sell. On Tuesday, the German ZEW Economic Sentiment for September will be issued. The main focus will be on the economic expectations which saw a rebound in July and it will be interesting to see whether this trend has continued, especially in light of the decreasing risk of a US-EU trade war. On Thursday, the ECB will meet and present new staff projections. A marginal downward revision is expected of the 2019 and 2020 projections, but no new policy signals as the central bank has been content with the current economic path and the market reaction to the recent increased forward guidance in June. On Friday, the euro area wage growth of Q2 will be published. After seeing an upward moving trend in the previous two quarters which led to a 2.0% year-on-year increase in Q1, Q2 wage growth is expected to hit 2.2% year-on-year, mainly driven by negotiated wages, especially in Germany.